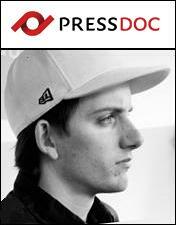 Today we made an interview with Marc Köhlbrugge who is the co-founder of PressDoc.com. The press release-service gives you the opportunity to write, edit and publish press releases, share them with the world, and get engaged like no other in your business! The young startup is based in Amsterdam and has just said welcome to the 1,000th business using the service. According to PressDoc.com most of these companies were referred by other companies who liked the product enough to share it with their colleagues. EU-Startups.com: When have you or your partner had the idea for PressDoc and what made you sure it was the right one? 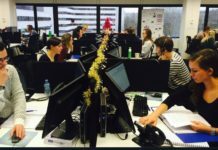 Marc Köhlbrugge: When Tim Heineke wanted to publish a press release about his startup Twones a year and half ago, he couldn’t find a good solution that suited his needs as an internet entrepreneur. 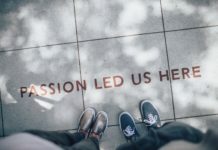 When discussing this with Boris Veldhuijzen van Zanten, Boris recognized this as well as an entrepreneur himself, but also from the blogger’s perspective he knew the current press release was outdated and could use a major iteration. The idea then was relatively simple, create a new format for press releases, optimized for the web. Via Twitter Boris searched for a developer and designer and found Stefan Borsje and me, Marc Köhlbrugge. We then went ahead to found PressDoc and create the next generation press release. EU-Startups.com: Pressdoc.com is a great domain-name. Was it available or did you buy it? 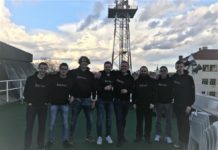 EU-Startups.com: How do you guys finance the start-up phase of PressDoc.com? 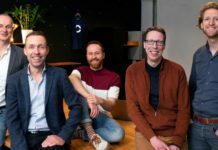 Marc Köhlbrugge: With the solid founding team and Boris’ track-record as an entrepreneur we managed to get a round of seed funding fairly quickly. This meant we could just focus on building a great product without having to worry about financing. EU-Startups.com: What were the main stumbling blocks of your first 6 month as an entrepreneur? 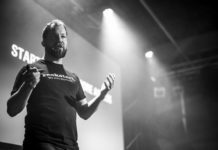 Marc Köhlbrugge: I co-founded PressDoc a month after graduating, so while most entrepreneurs come from a regular job, I came fresh out of university where I was already working on my own internet projects. The difference with PressDoc though, was that it was a real company with customers, sales, cash flow, paperwork and all that. They weren’t necessarily stumbling blocks for me, but they were something new. I used to focus just on the product and now I had to look at the bigger picture and see how our product fit the market, etc. 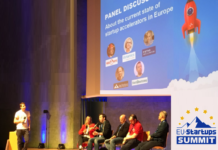 EU-Startups.com: Looking back, what would you do differently in the early startup stage? Marc Köhlbrugge: I think their was a tendency to strive for ‘the perfect product’ and thus we kept waiting to launch until everything was perfect. The thing is of course, nothing is ever perfect and the best way to improve your product is to get feedback from actual customers. So in hindsight I think we could have launched earlier, but it all worked out in the end. EU-Startups.com: Where do you like to see your business (PressDoc.com) in 3 years? Marc Köhlbrugge: In the end, PR comes down to reach and relevance. Our customers want to reach as many, relevant, people as possible. In 3 years time I’d like to provide our customers with a service that enables them to reach each and everyone that might be interested in hearing their announcement. Be it directly, or through a medium such as bloggers, social media users, or any other innovation that might exist by then. Marc Köhlbrugge: I would probably be a designer at web design agency. In fact, I did an interview about my design work couple of months before becoming a real entrepreneur so if you want to get an perspective on how I looked at things back then, and compare it to what I’m saying now, then you can read it here. Marc Köhlbrugge: Good question. I’m not sure an idea can be inherently bad, because it’s just a starting point anyway, but I guess the ideas that you don’t act on are the worst. They may still make perfect sense from a business perspective, but if they don’t continue to inspire you to take action they miss something vital. Marc Köhlbrugge: I honestly have no idea. I’ve been to the valley once and the entrepreneurial spirit was great. But we do have some very disruptive companies going on in Europe as well, such as Spotify which I think will change the way consumers think about content ownership and of course Skype a while ago which did something similar for telecom. I’ll have to think about it a bit more, but you could argue we’re pretty good at disrupting existing markets, where the US might be better in inventing new ones. As a side note, with ‘local’ becoming more and more important (Groupon, Foursquare, etc), I think there are a lot of opportunities for European entrepreneurs without necessarily having to worry about US competition. I’m looking forward to see how that one turns out. Nice Interview. I’m going to check out the service of PressDoc some day. Sounds like a interesting idea!